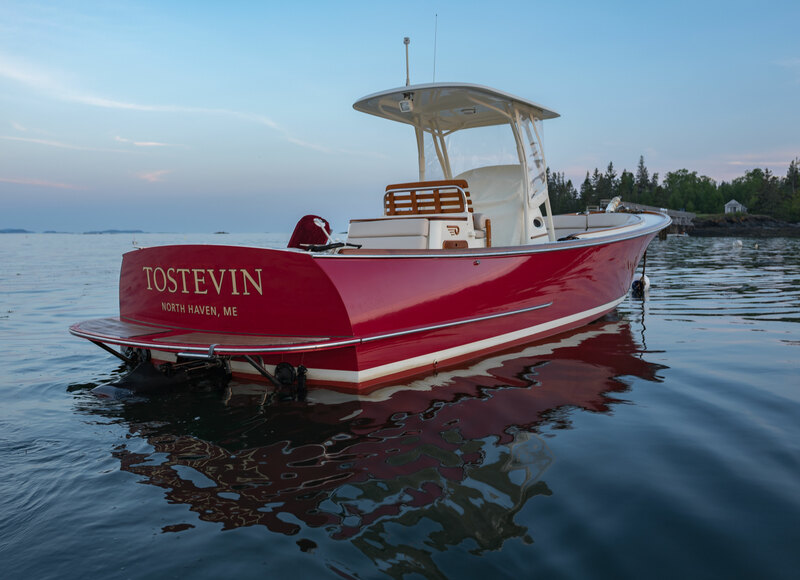 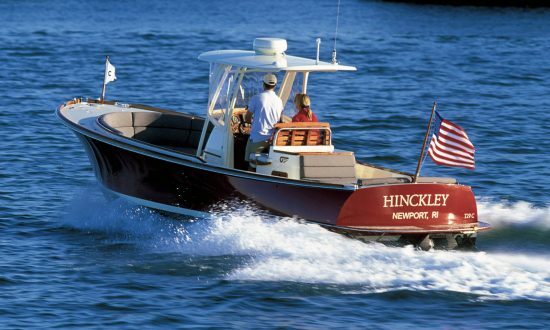 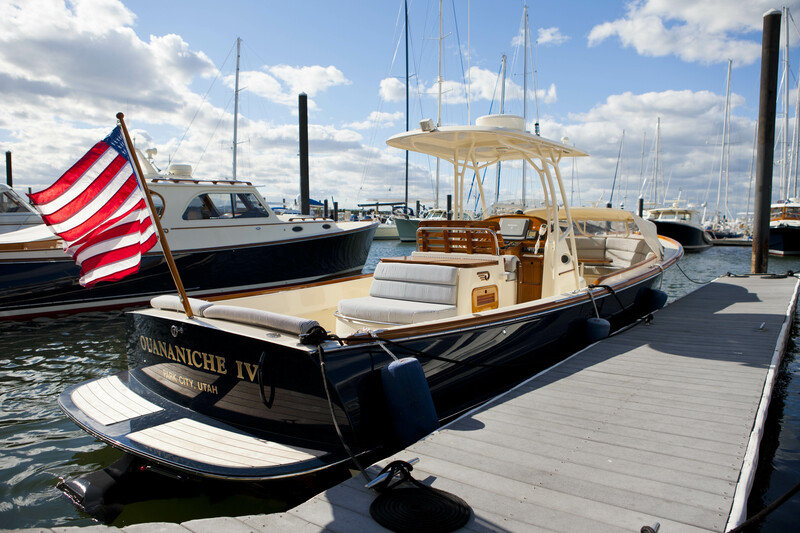 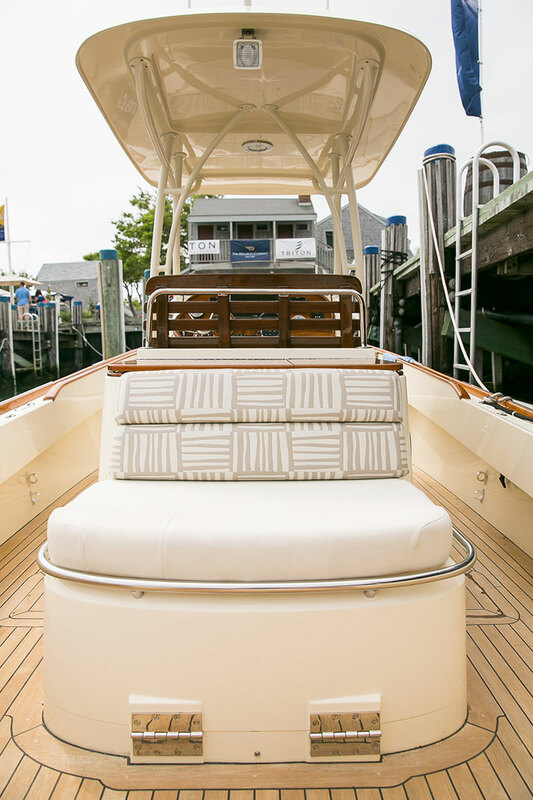 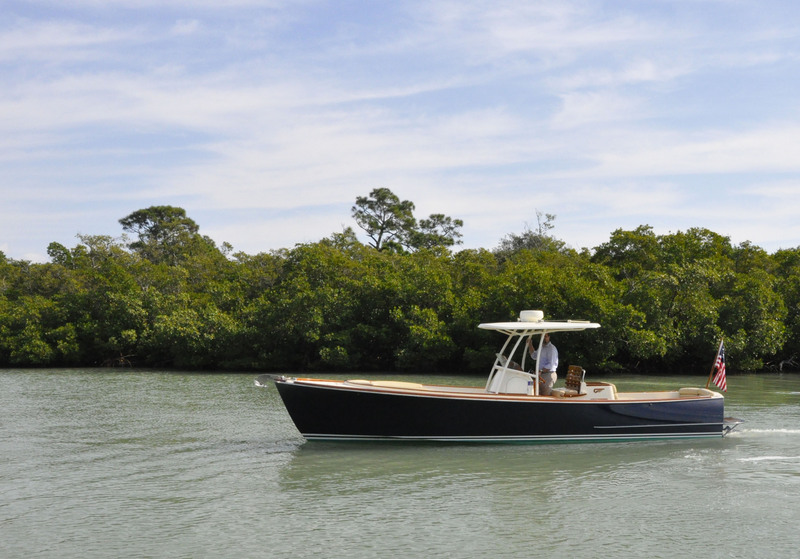 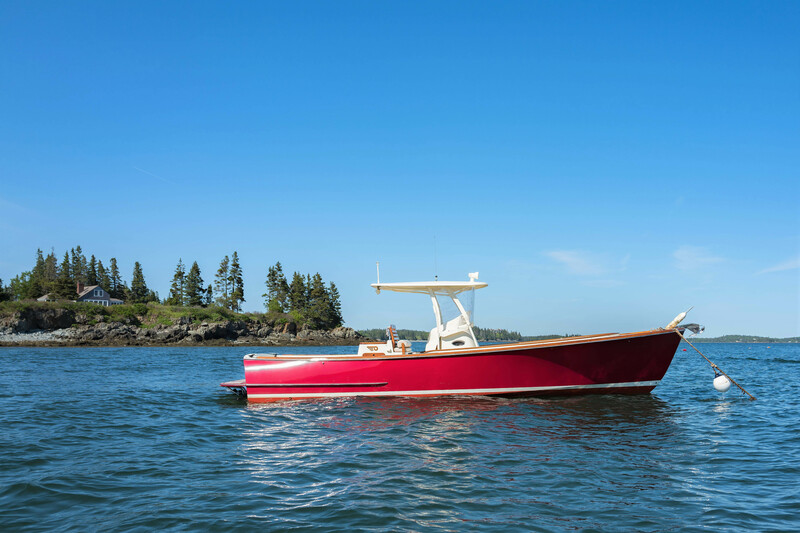 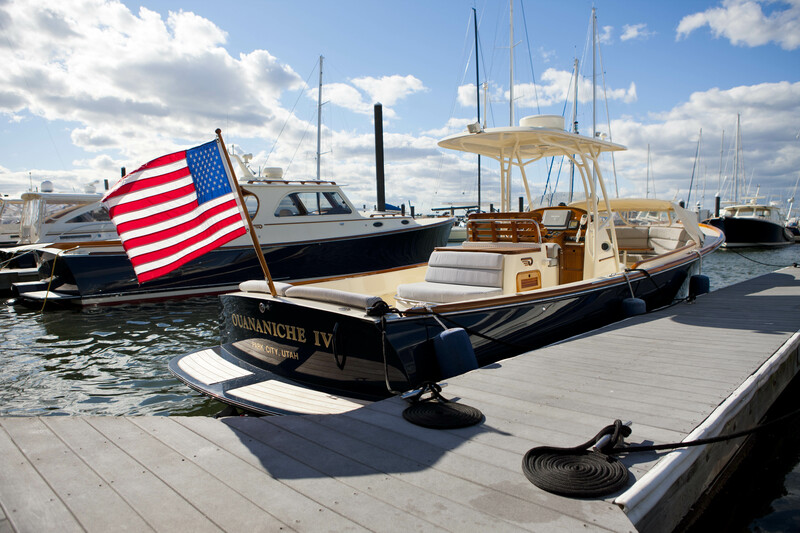 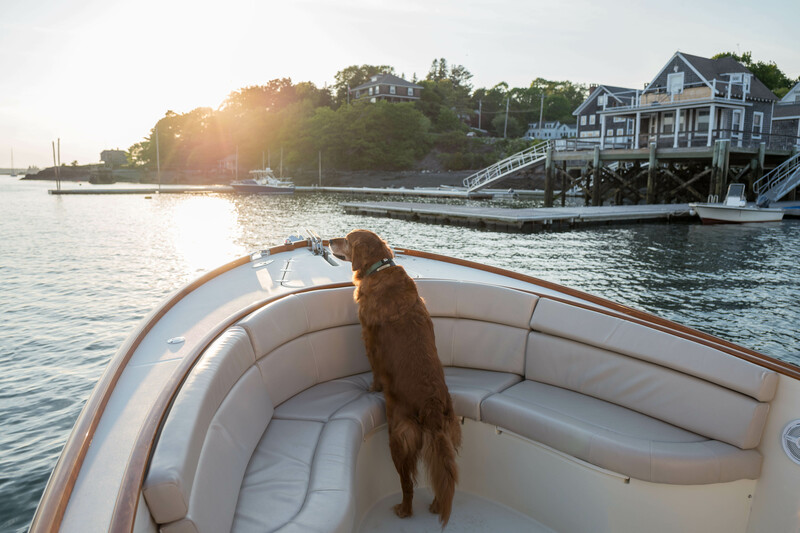 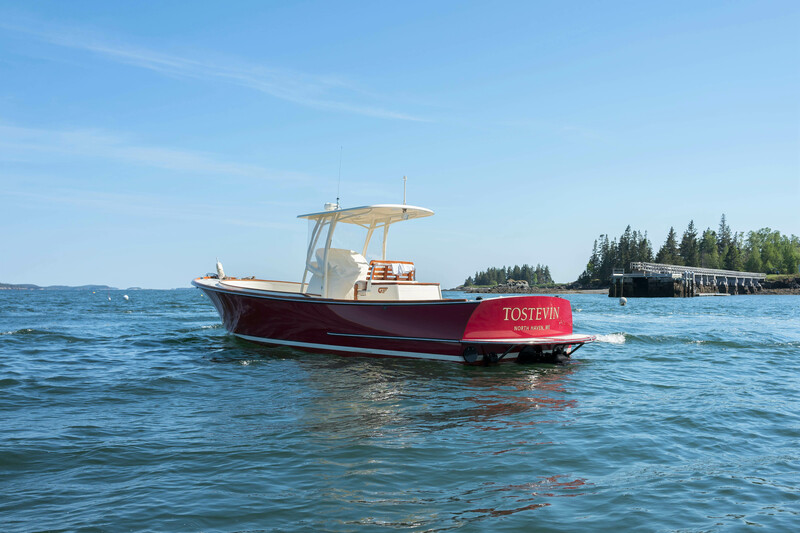 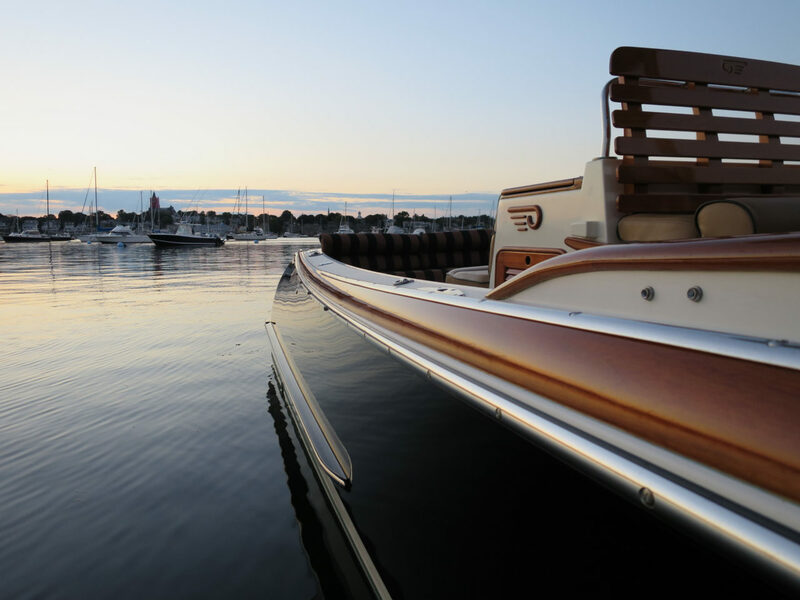 The beauty of the Hinckley Center Console is breathtaking both at rest and at play. 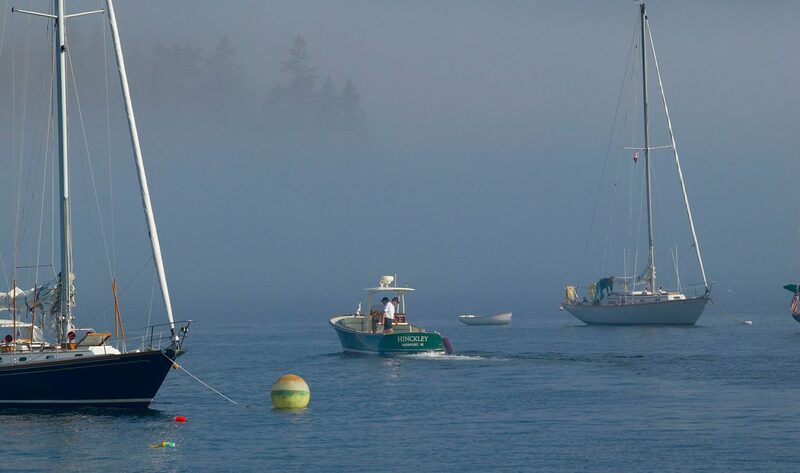 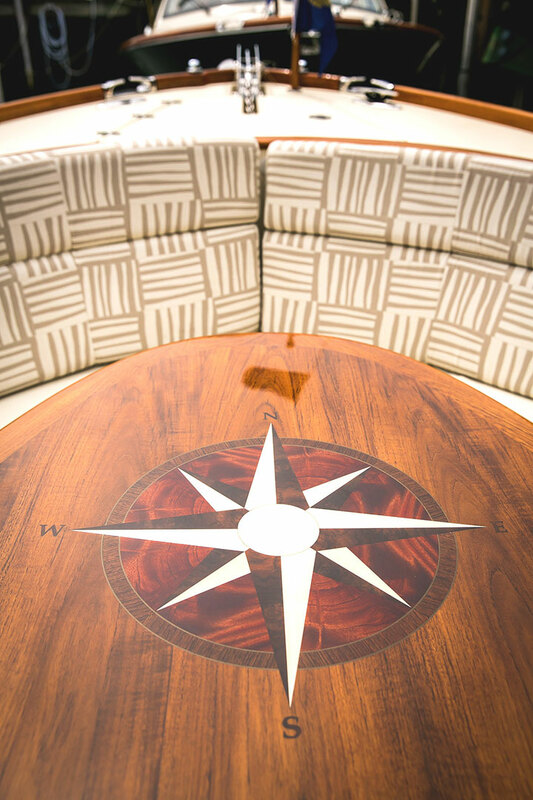 Waterjet propulsion offers an easy, efficient, and environmentally sound way to carve through the water. 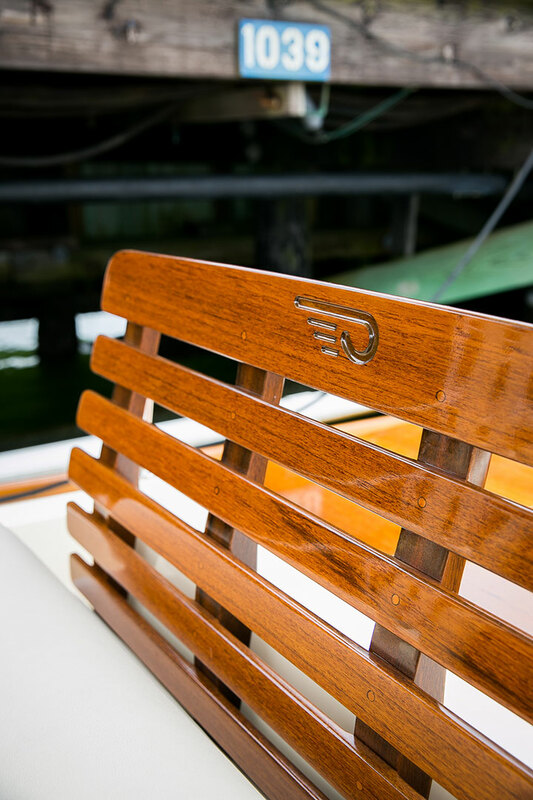 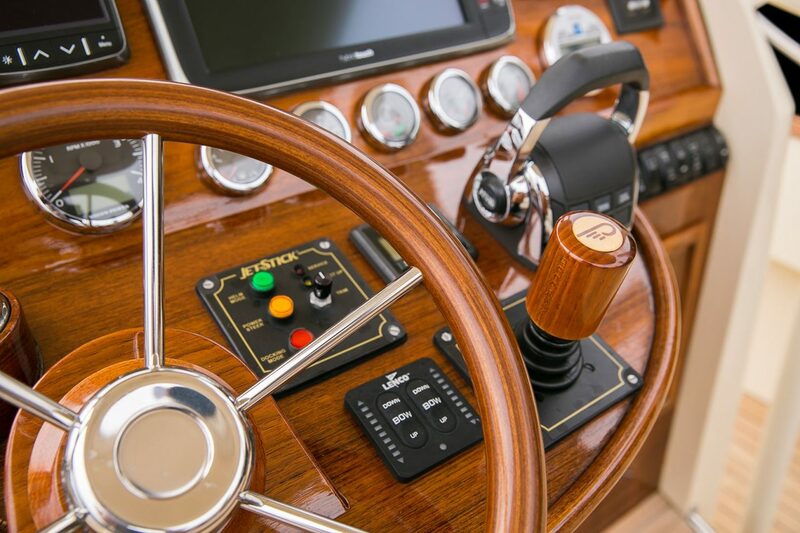 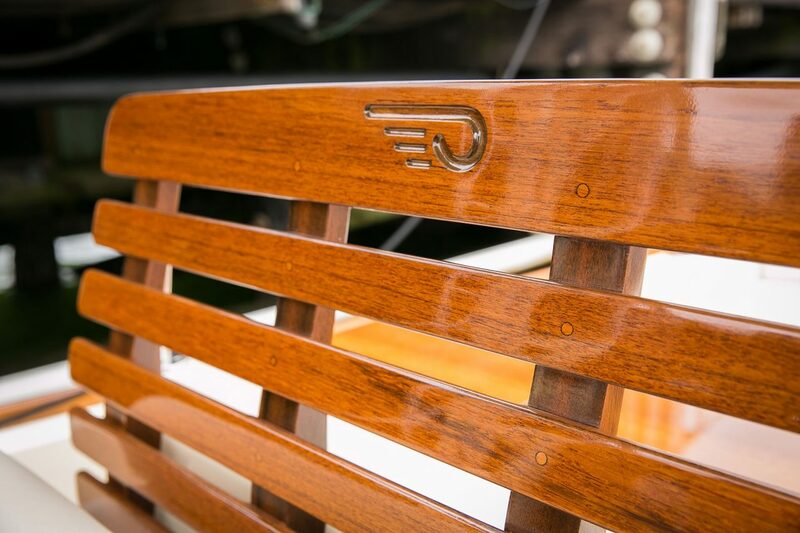 And the sit-down steering console features a varnished teak dash – the ideal place from which to command over 32 knots of performance. 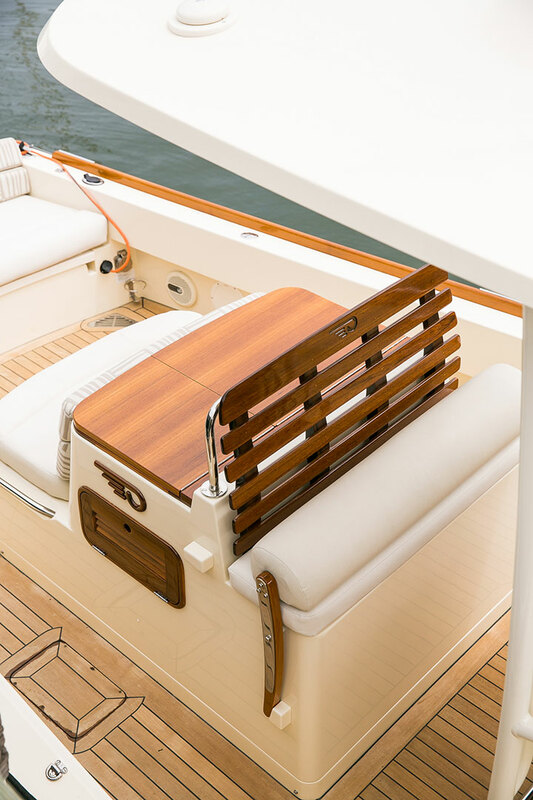 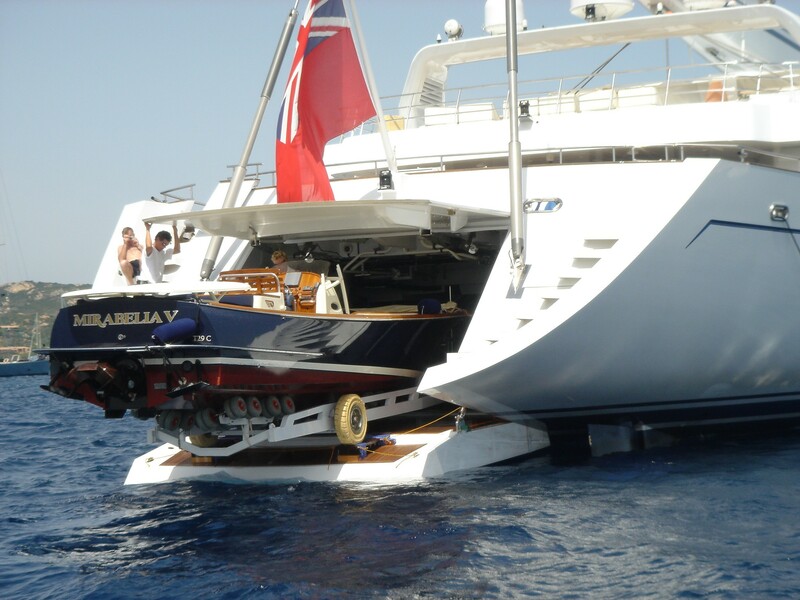 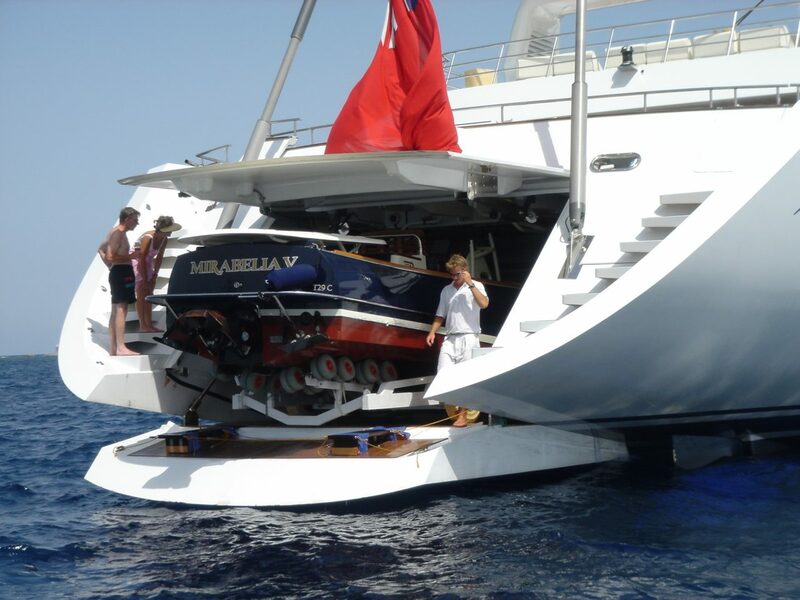 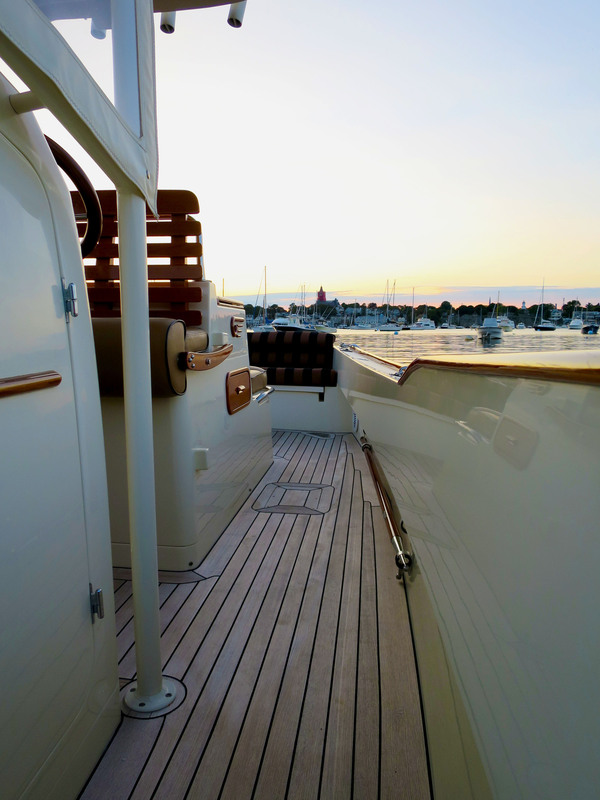 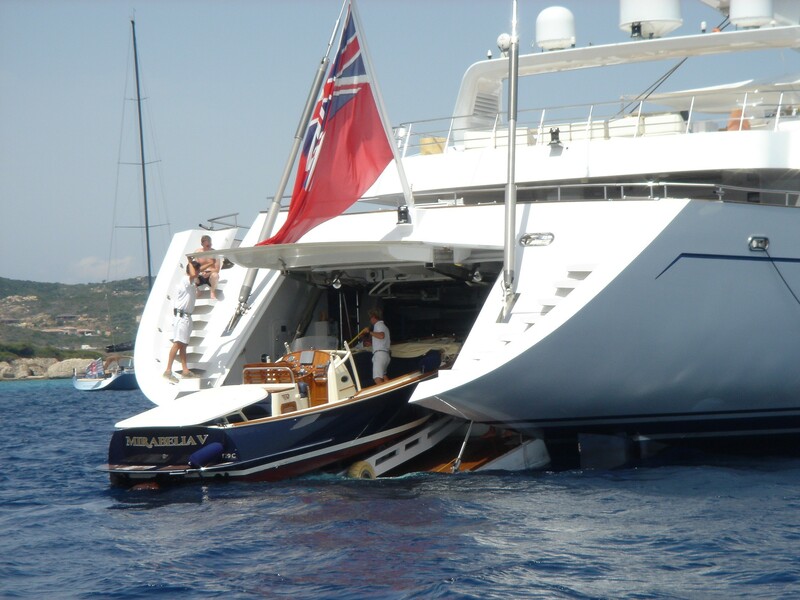 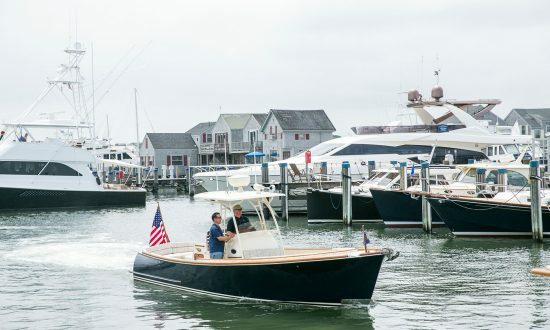 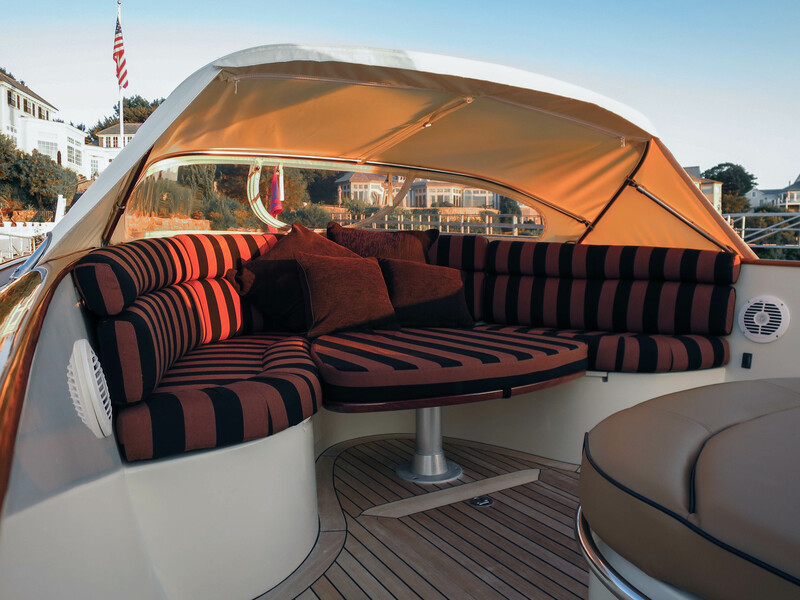 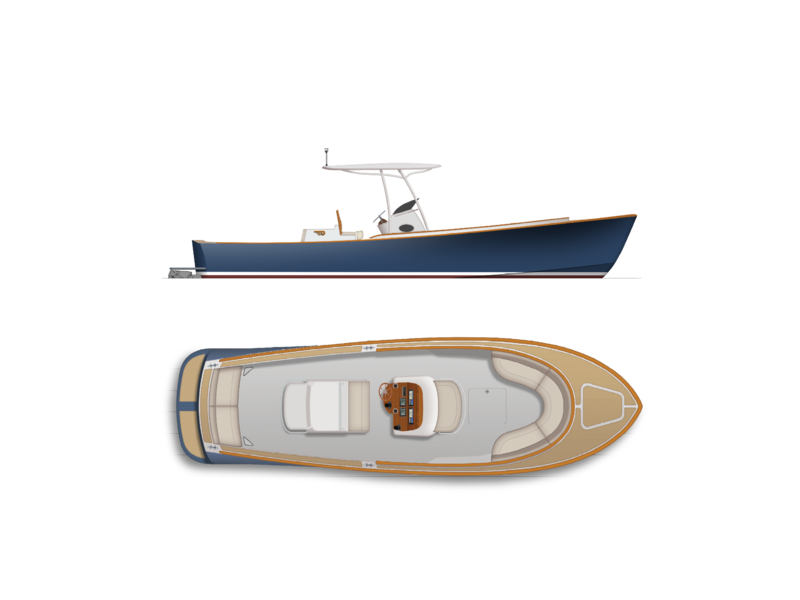 The Center Console 29 is carried aboard many mega-yachts as the tender of choice. 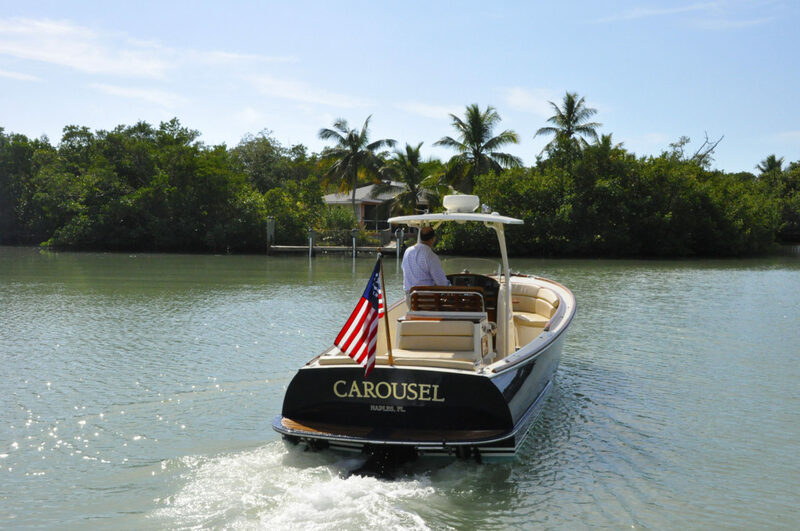 Easy handling, shoal draft and looks that are every bit as impressive as the mothership’s are the reasons you’ll see this elegant runabout bringing guests into port for an evening or to a sandy beach for the afternoon. 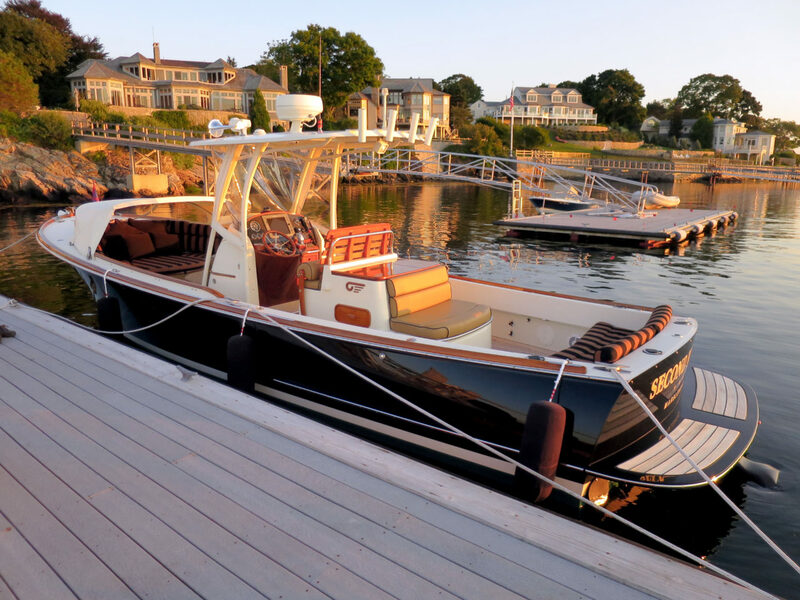 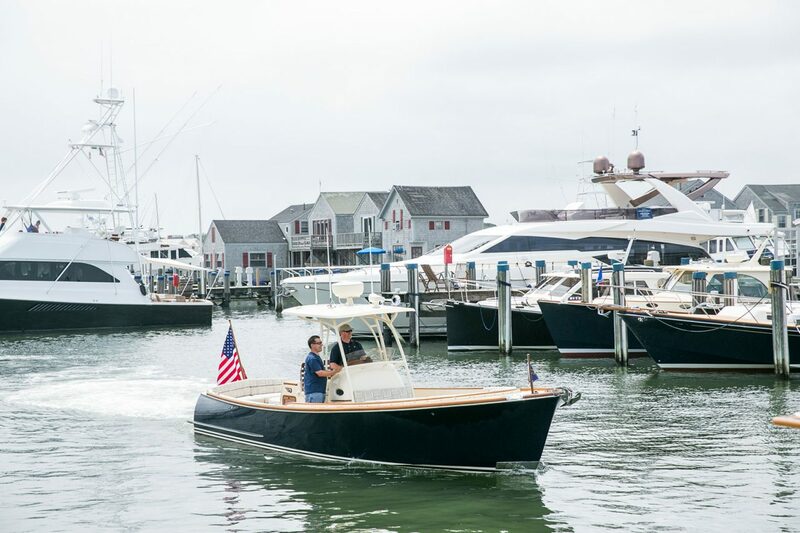 The Center Console 29 comes complete with Hinckley OnWatch to remotely monitor bilge, movement of the boat, shorepower, batteries, location and critical engine data. 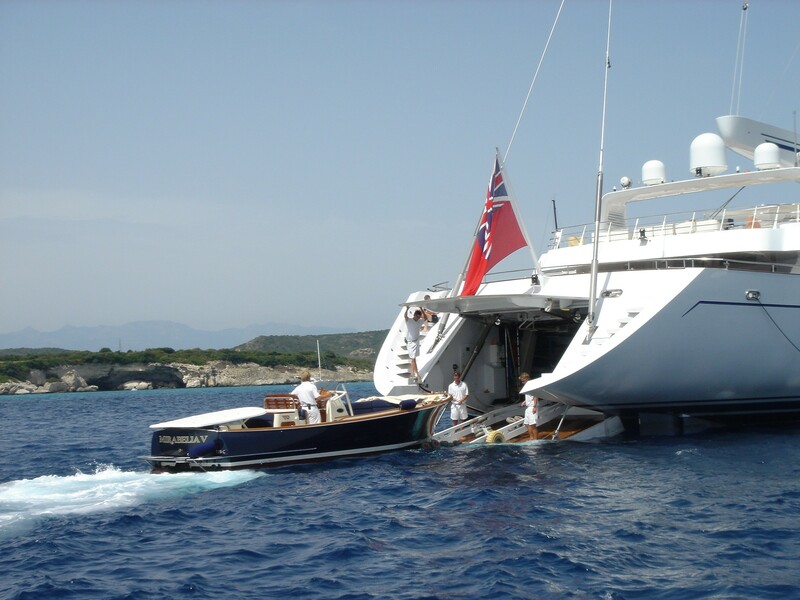 What’s more this data is reported to you on your mobile phone or tablet, and to our world-class service organization. 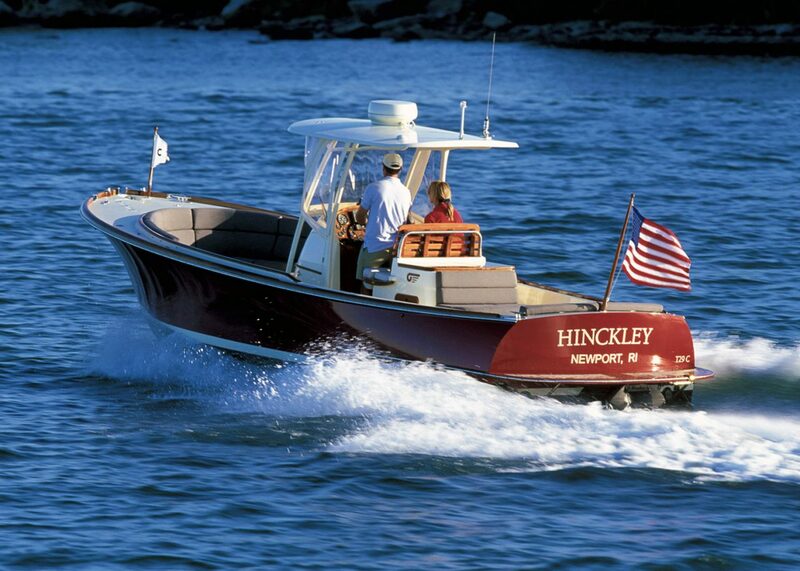 And OnWatch can assist our Hinckley technicians to perform diagnostics for engine and control system remotely.